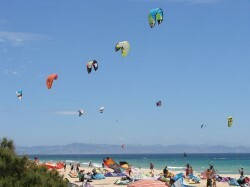 Tarifa is a small town in the province of Cádiz, Andalusia, on the southernmost coast of Spain. 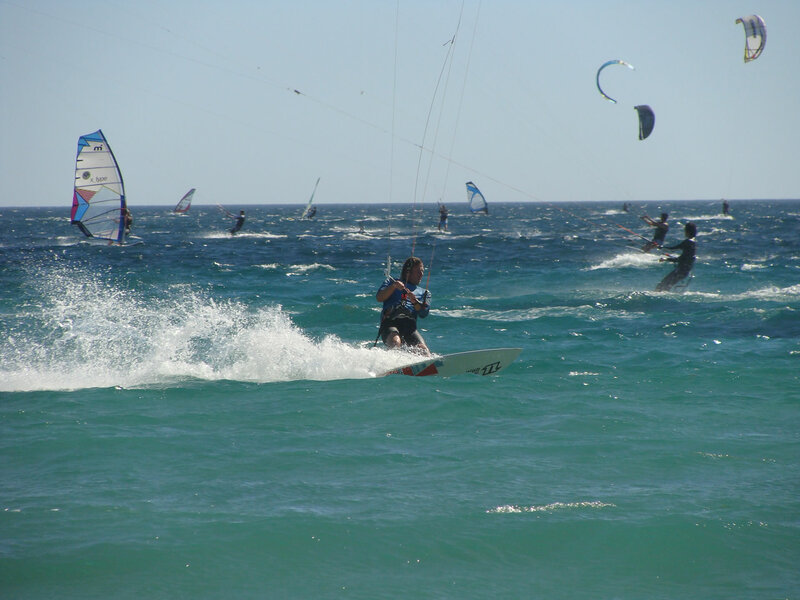 The town is located on the Costa de la Luz and across the Straits of Gibraltar facing Morocco and is a very popular place to practice all kind of water sports, especially windsurf and kitesurf. 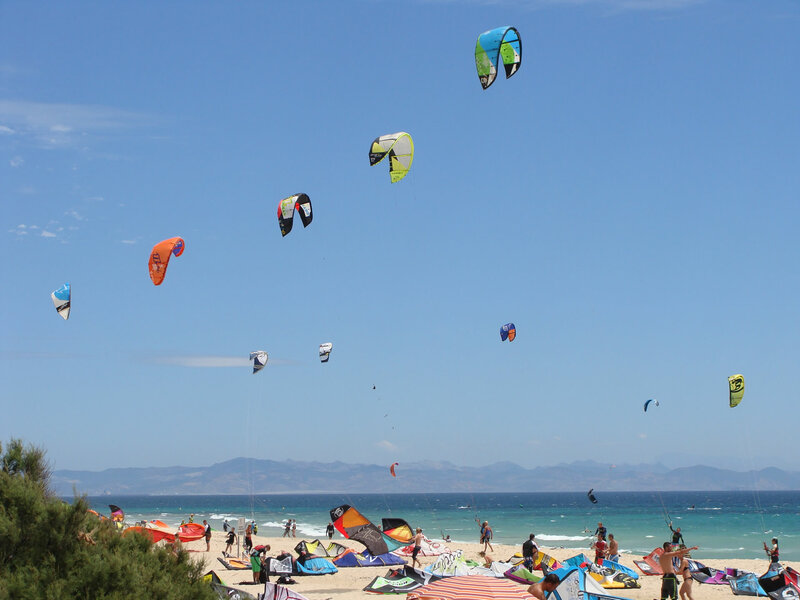 Tarifa provides outstanding windsurfing & kitesurfing, either for a quick winter break, summer family holiday or cultural tour visits with a choice of budget and luxury hotels around town. 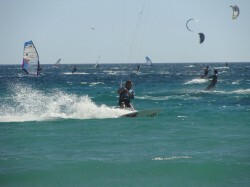 Blessed with cyclonic winds throughout the year and temperatures similar to the Canaries in the summer months, but dropping sharply during the winter season, Tarifa has locations for both disciplines of windsurfing and kiting with wave jumping and flat water sailing according to your needs, even for beginners. The whole area offers a wealth of different sporting activities for you and any non sailors, with horse riding, mountain biking, free rock climbing and golf available amongst others. Due to the jet effect of the Strait of Gibraltar the winds get additional force making Tarifa one of the best spots in Europe with almost 100% wind guarantee to practice these sports. During summer time the dominating wind is the Levante blowing from the east and in autumn and spring is the Poniente, blowing from the west. One of the most popular beaches is Valdevaqueros which is a curved, sandy bay flanked by dunes opening out to a vast expanse of water. The town is a mecca for windsurfers and kitesurfers with many shops selling the latest kit and accessories with coffee shops and bars on the main strip into town. There are few different sports centre and schools where you can get your equipment and start learning or practicing these sports. 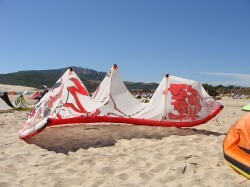 Tarifa has kept the character of Andalusian atmosphere with preserved ‘white villages’. You can experience the best of this area enjoying local festivals, displays of Flamenco and Sevillana dancing. The town itself is a collection of Moorish buildings and cobbled streets with many shops, restaurants, bars open into late into the night. There are many bodegas and local tapas bars serving many local wines. The nightlife is also good as it has many bars and clubs open until early morning.